Want to find a high quality plate clamp? 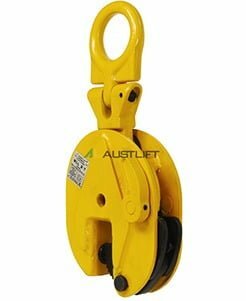 All About Lifting & Safety are experts in all aspects of safety and lifting equipment. 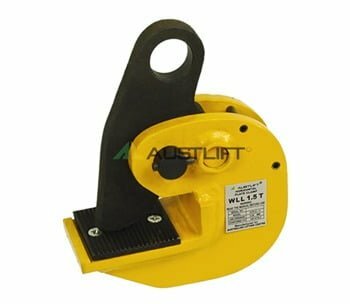 Plate clamps are a key piece of equipment used throughout several industries to lift, transport and place heavy steel plates and other materials, all without injury to personnel or damage to onsite equipment. Usually they occur in pairs, horizontally or vertically lifting and securing the plates, to help you lift loads safely. 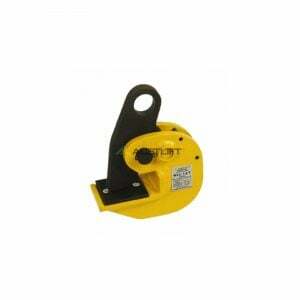 Lever mechanism - the heavy plates are secured, lifted and placed using a lever to provide the clamping action. Bolted mechanism - the heavy plates are secured, lifted and placed using a screw bolt to provide the clamping action. 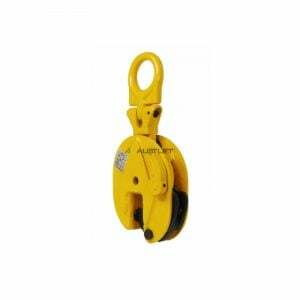 At All About Lifting & Safety, we have over 80 years collective experience in heavy lifting equipment hire. In our business, our main priorities for all of our clients are safety and quality. When we approach choosing a plate clamp, our main goal is ensuring your personnel are at no risk of injury and your equipment is never damaged. Ensure your clamp is designed for the lifting you need (i.e. horizontal or vertical plate clamp). At All About Lifting & Safety, we will always put your specific needs first to ensure we choose the right plate clamp for you. So pick up the phone today and speak to one of our experts about your lifting and safety equipment needs. We are experts in supplying, installing, testing, and servicing all lifting and safety equipment. We also provide our repair, testing and maintenance services onsite for your convenience, as well as at our multiple locations across South East Queensland and New South Wales.